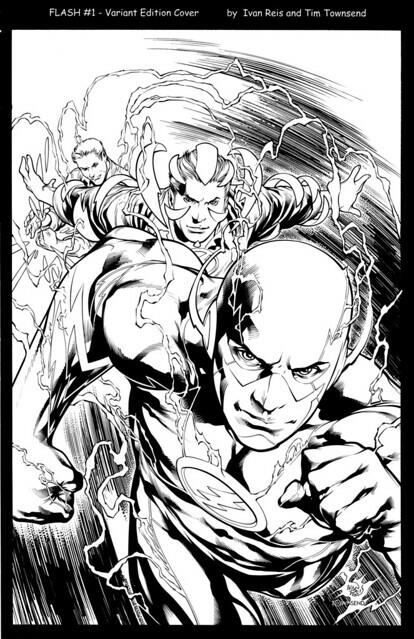 I wasn't entirely sure about the new Flash costume, but all the artists that have drawn it make it work. 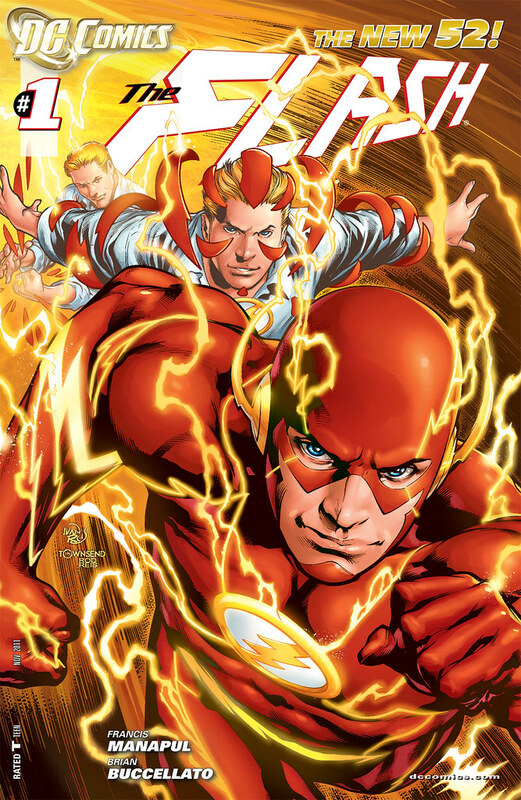 The speed force effects on this cover, with the blue background, make the Flash pop out in the foreground. If you want to see a version of this cover without the logo, take a look at Alex Sinclair's DeviantArt site. I wish DC would release this as a poster. 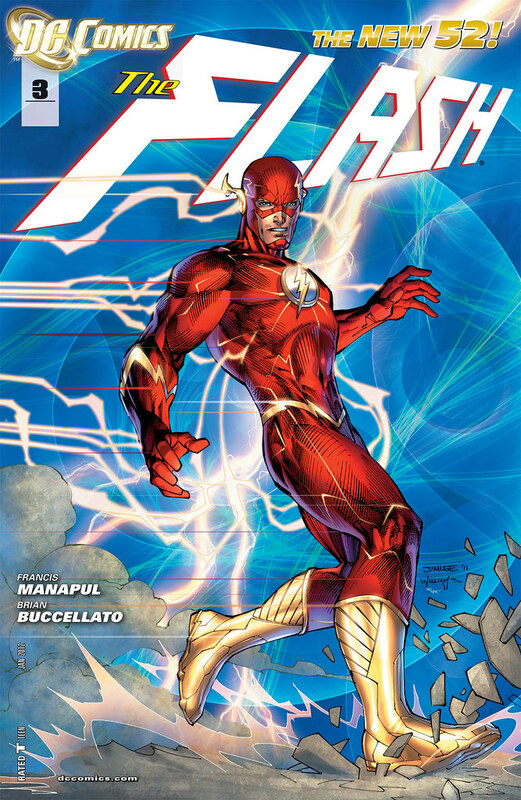 Ivan Reis illustrated this cover to issue #2, a new take on Flash's costume spilling out in energy form to envelope his body. Over on Tim Townsend's Deviant Art page, I found this black and white inked version of the cover. This is the first time Townsend has ever inked Reis...I think they make a great team. Nuff Said!